Planning a trip to Hyderabad? Here is your basic guide! Capital of Telangana, India. Is probably one of the cities rich in Architecture. When I got the shooting schedule to Hyderabad, around 5/6 years back, for couple of months, I was super excited about it. (well, that’s going to be my first time to visit this city) Unfortunately, due to schedule, I hardly got any time to explore this beautiful city. I thought probably that’s it! Sionara to Hyderabad. I explored only small part of this city, off course there is lot to explore yet. Guys here I am trying to compile few interesting places which I visited and I hope that might help you to plan your trip. 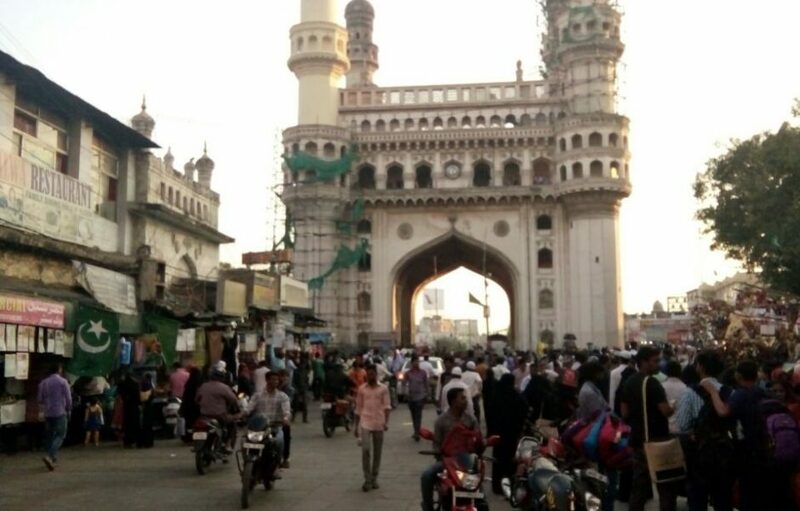 Charminar It is a monument and mosque. It has become a global icon of Hyderabad and listed among the most recognized structures of India. Evening is probably the best time to visit it. you can buy a ticket and view the surrounding cityscape from the upper level of this monument. I personally suggest keep Sunday full reserved to explore this area. On Sunday early morning you will find ‘local street bazar’, which operates only for few hours in morning, where you get all historical, old and sometimes antique things at cheaper rates (provided, you must know the art of bargaining) In day time you explore street shopping, visit to Mecca (Makkah) Masjid, and end your day with beautiful Charminar. You can plan second day to explore same area where you can explore, Chowmahalla palace, Nijamas Museum. (a collection of Nijam’s personal belongings along with vintage Bike & cars) Nearby places are, Iskcon temple, High court, etc. Next place you can visit is Khursheed-Jah-Devdi, in Hussaini alam area. 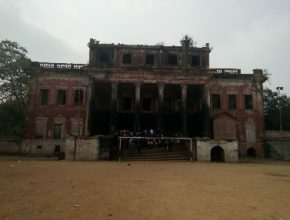 It’s remarkable residence structure (devdi means residence) but it’s in ruin state, this is not on visitor’s list unless you are looking purely architecture style to study. (if you not, you can skip this place) you might have seen this structure in many blockbuster movies. Next place to explore is ‘Salarjung Museum’, I think probably you will need to keep aside whole day to explore this entire museum complex. (world’s largest collection made by signal man) a place worth to visit! 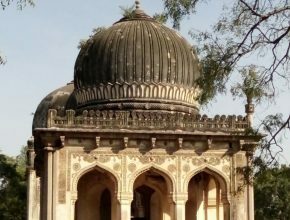 You can keep one full day to visit ‘Qutub Shahi’s Tomb complex’, a marvellous tomb complex close to famous ‘Golconda fort’. I suggest spend morning time to Qutub shahi’s tomb complex and visit Golconda fort at evening to see spectacular sound and light show. a perfect way to end your day! If you are foodie, don’t miss mouth-watering Biryani from ‘Paradise’, ‘Bawarchi’, etc and sweets from ‘Karachi bakery’. In addition to all these, don’t miss to visit ‘Hussain Sagar lake’. (heart shape lake) I suggest visit this place in the evening, beautiful place to walk around while enjoying the ‘food street’ in a scenic view of lake and Buddha statue, a joyful way to spend the evening with your family and friends. 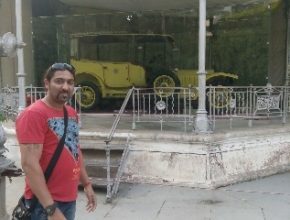 Other places worth to visit are, Sudha car Museum (crazy cars made by Mr. Sudhakar) & Ramoji Film City. Well folks, these are just a few places I listed here, I hope you will find it informative. Bone Voyage and god bless!